SOMETHING NECESSARY is an intimate moment in the lives of Anne and Joseph. A woman struggling to rebuild her life after the civil unrest that swept Kenya after the 2007 elections claiming the life of her husband, the health of her son and leaving her home on an isolated farm in the Kenyan countryside in ruins, she now has nothing but her resolve to rebuild her life left. A young man, troubled gang member who participated in the countrywide violence is drawn to Anne and her farm seemingly in search of redemption. Both, Joseph and Anne need something that only the other can give to allow them to shed the painful memories of their past and move on. Blay, Zeba. 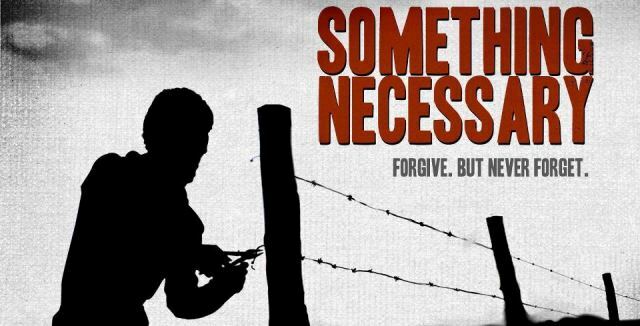 "TIFF 2013 Review: Judy Kibinge's 'Something Necessary'". IndieWire (online magazine).